VATICAN CITY — Pope Francis says that when he was 42 he had sessions weekly with a psychoanalyst to "clarify some things." It wasn't specified what the future pontiff wanted to explore. The revelation came in a dozen conversations Francis had with French sociologist Dominique Wolton, writing a soon-to-be-published book. 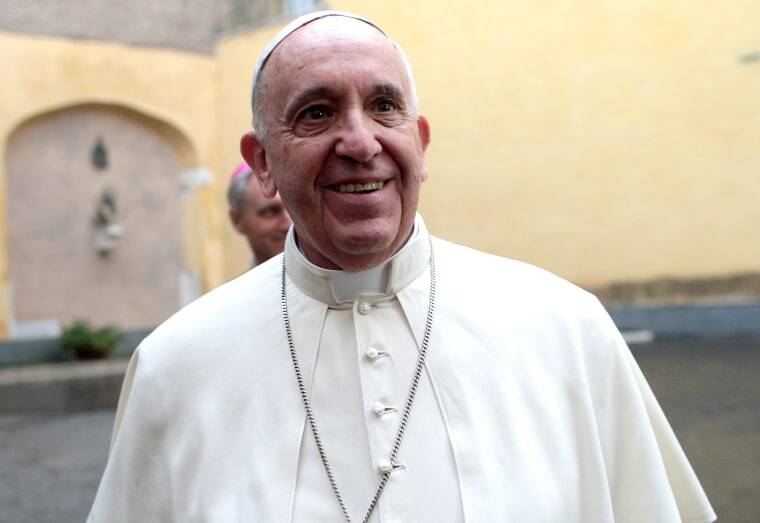 La Stampa, an Italian daily, quoting from some of the conversations on Friday, said Francis went to the analyst's home. Francis was quoted as saying: "one day, when she was about to die, she called me. Not to receive the sacraments, since she was Jewish, but for a spiritual dialogue." "She was a good person. For six months she helped me a lot," Francis said. Francis then was a Jesuit official in his native Argentina ruled by military dictatorship. "Those whom I known helped me a lot when I needed to consult with them," Francis is quoted his saying. The 81-year-old pope also speaks of his state of mind now. "I feel free. Sure, I'm in a cage here at the Vatican, but not spiritually. Nothing makes me afraid." What bothers him, he ventured, are people with straitjacket point-of-views. He singled out "rigid priests, who are afraid to communicate. It's a form of fundamentalism. Whenever I run into a rigid person, especially if young, I tell myself that he's sick." But Francis concludes that "in reality, they are persons looking for security." In past remarks, the pope has indicated he struggled with how to use authority in his first roles of leadership as a Jesuit. The Catholic Church used to project a sense of mistrust regarding psychoanalysis. But over time, the diffidence seems diminished. Updated Vatican guidelines for use on seminaries in training future priests describe psychologists as valuable in assessing the psychological health of candidates.